I needed a method to change an address on my company's website and didn't had the source file for the SWF. I was doing a daily round of the tech sites which is my routine for years now to find the exiting and latest technologies and found this on Engadget. 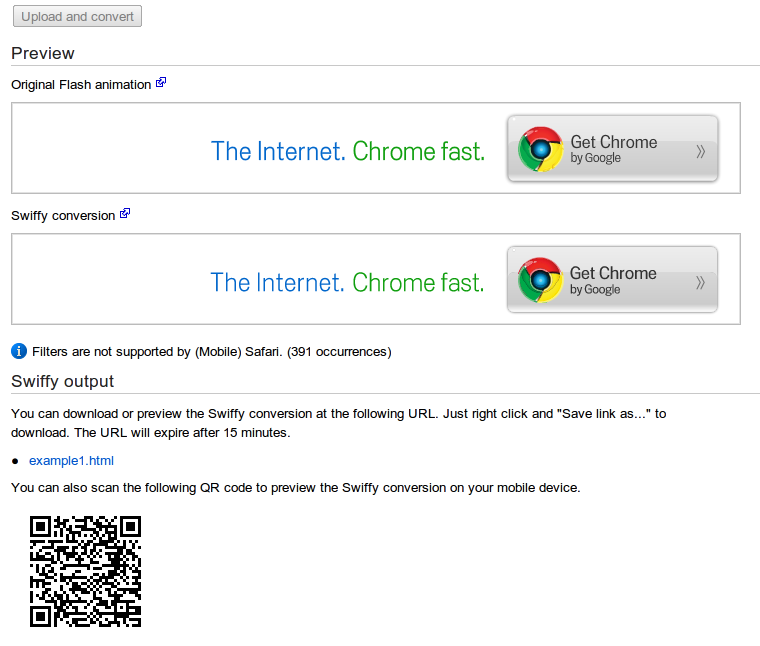 Google has a tool called Google Swiffy to converts Flash SWF files to HTML5. There are two ways to do this one is to use the tool from the Google Swiffy website or use the Swiffy extension for Flash Professional. 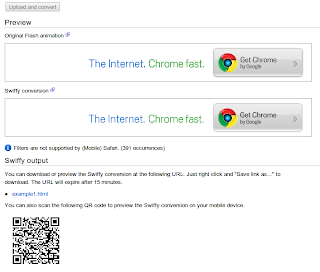 The Flash professional extension uses Google Swiffy as a web service so you will be able to use the latest version of Google Swiffy at all times. Please find below the usage of Google Swiffy from the website as screen shots (I am not explaining the steps as the shots are self explanatory). For downloading and using the Flash Professional extension go to http://bit.ly/uPWrUa.